Updated: Thursday, May 10, 2018, 8:20 a.m. EDT: The Yale Daily News has identified the white grad student who called the cops on a black classmate as Sarah Braasch. The campus paper also sheds more light on an earlier incident when Braasch called campus police on the same classmate, Lolade Siyonbola, and another black grad student, Jean-Louis Reneson. In a complaint submitted to campus administrators in March by Reneson and Siyonbola, the students describe organizing a small group to meet in a Hall of Graduate Studies common room. According to the complaint, Reneson got lost in the HGS building and was physically blocked by Braasch from entering the common room after he asked her for directions. Braasch eventually left the area and Reneson met up with his group, only to have four campus police officers show up because someone had reported a “suspicious character” on their floor. According to the complaint, once Reneson established that he was a Yale student, the police left. Braasch is a philosophy Ph.D. candidate who has studied gender and law, according to Yale’s website, and who has expressed civil rights and human rights as interests in her LinkedIn profile. Braasch has not responded to The Root’s request for comment. 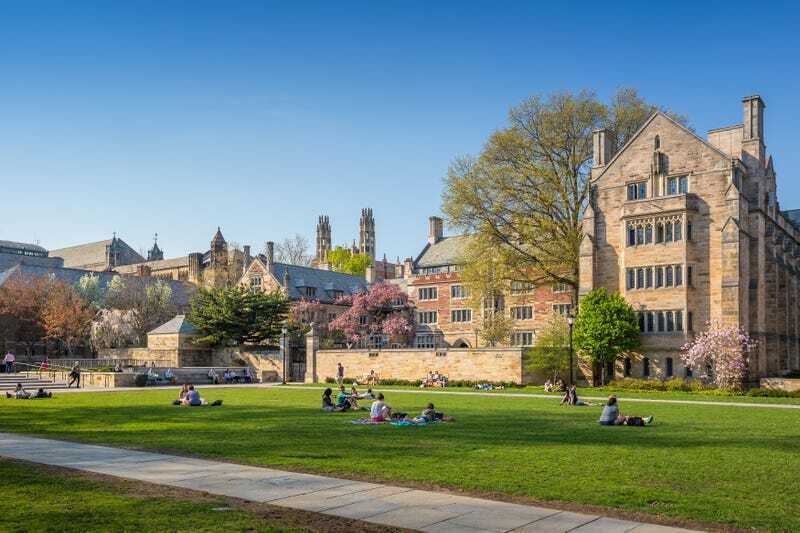 She wrote that she and other campus administrators, including Yale Police Chief Ronnell Higgins, plan to hold listening sessions with students in the near future to avoid something similar from happening again. Over the past week, we at The Root have added hashtags to various incidents of racial bias that have crossed our radars. There was #MovingInWhileBlack, #BlackWhileAirbnb-ing and #CouponingWhileBlack. #DiningWhileBlack, frankly, has too many examples for us to enumerate, and just today, Wednesday, we ran a story about a couple being denied a money order—with cash in hand—while black. Now it looks like #NappingWhileBlack can be added to the list. As the Yale Daily News reports, Lolade Siyonbola says she was napping in a common room in the Hall of Graduate Studies when she was confronted by a white female grad student who told her she couldn’t sleep there. Siyonbola captured a brief video showing the tail end of her interaction with the white grad student. In the Facebook post, Siyonbola says that the white grad student had called the cops on a friend of hers earlier in the year for getting lost in her building. A second video, this time of Siyonbola’s interaction with the cops, shows her opening the door to her own dorm room to prove to campus police that she lives in the building. Still, the police request her school identification card, which Siyonbola reluctantly gives. Because her name was entered incorrectly into a student database, it takes more than 15 minutes to verify that Siyonbola is a Yale student. “We need to make sure you belong here,” one cop tells her. The videos went viral on Yale’s campus, prompting Dean of Graduate School of the Arts and Sciences Lynn Cooley to send an email to all postgraduate students Tuesday night stressing Yale’s “inclusivity” and opening up lines of dialogue with students.